The Heat Exchange Institute has changed the name of Standards for Power Plant Heat Exchangers to Standards for Shell and Tube Heat Exchangers. 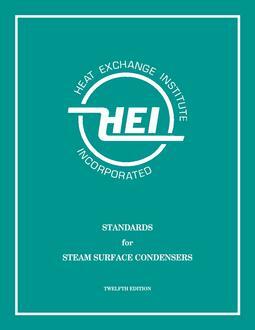 The fifth edition of these standards have been developed by the Shell and Tube Heat Exdchanger Section of the Heat Exchange Institute, Inc. The technical information in these standards combines present industry standards, typical Purchaser requirements, and Manufacturers' experience and outlines the important design criteria for power plant heat exchangers. These standards provide practical information on nomenclature, dimensions, design, testing, construction and performance.